All of these strategies have their advantages and disadvantages. That is why it is good to have an experienced Realtor on your side. Delaying might result in a new and better offer. When you tell all buyers to make their "highest and best" offer that may discourage buyers who feel they’ve already made a fair offer resulting in them breaking off negotiations to pursue other properties. Accepting the best offer without countering might leave some missed money on the table. Make sure you are ready to buy and can prove it to the seller. No seller wants to waste their time with buyers that have not been pre-approved for a mortgage or who cannot provide proof of funds. If you get into a multiple offer situation and you are not prepared, there is a strong chance that you will lose. I have represented sellers who accepted the offer with the lower sales price because the buyer could prove that they were prepared to buy. Don't be lazy and prove that you are ready, willing and able to buy. In multiple offers situations, buyers will typically offer more than list price. If you really want the house then don't be afraid to offer more than the asking price of the home. Submit the highest and best offer that you are comfortable living with. In most situations, the listing Realtor will tell all buyers to submit their highest and best offer by a certain day and time. Usually, the listing Realtor will not disclose the details of the other offers. That is very risky for them to do. However, it does happen. 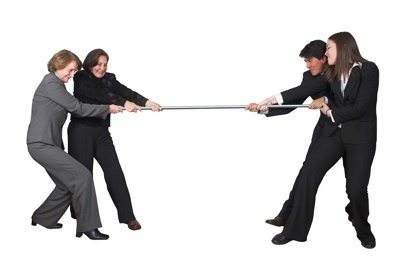 There are Realtors that try to play each buyer off of each other. Again, this is a risky game because all buyers could walk away. Some home buyers have a real problem with this and I don't blame them. No one wants to pay more than they should. Some people are just against paying more than what the seller is asking. Consult with your Realtor and get comparable sales for the home. The listing agent and seller might have artificially come up with a low asking price in an attempt to get multiple offers. You should be ok with paying more than list price. 4) Buy This One or Wait for Another? You will have to decide whether to buy this property or wait for another one. What are the chances that another similar home or condo will come on the market in the coming months? Recently, a client of mine purchased a beach condo where we had multiple offers. My buyers really wanted this condo because this particular stack in the building rarely came on the market. When I say rarely, that means every 4-5 years. They won the negotiations but probably paid more than they wanted to. Their fear of losing the condo was greater than their fear of paying too much. The terms of the offer can make a difference when buying real estate. You might want to be flexible on the things that are less important to you - escrow deposit, closing date, repair responsibility, financing contingency, price etc. I have seen sellers take lower a lower offer price because the other terms were more attractive. There are listing Realtors out there that will lie about having other offers in an effort to get the buyer to raise their offer price. I've never been a part of this so I am guessing that in some situtations the sellers is ok with this strategy and others the seller simply doesn't know what their Realtor is doing. This is definitely not a strategy that I recommend listing Realtors use. The real estate industry is small and if other agents catch wind of this then you might get labeled. Then your listings won't get shown as frequently. If you are getting a mortgage be mentally prepared to lose a multiple offer situation to a cash buyer. You may offer the best price and terms and still lose because sellers don't want to deal with lending headaches. Obtaining a mortgage is more difficult these days (as it should be) and sellers may want the security of a cash buyer. I hope these multiple offers tips are helpful. If you are looking to buy or sell real estate in St. Petersburg, FL please call us at (727) 485-0144.